MALDEN – In 1996, an apartment building opened on Charles Street in Malden with the goal of providing low-income housing opportunities for seniors and people with disabilities. For many affordable housing developments, twenty years is a long time, often seeing high turnover among residents and management. But for Monsignor Neagle, it is the stability and sense of community that brought more than 70 people together this week as the apartment building celebrated its twentieth anniversary. Monsignor Neagle, which is managed by Maloney Properties, houses about 85 residents in 5 one-bedroom units. At least a dozen residents who attended the 20th anniversary celebration were original tenants of the building when it opened in August 1996. Though the building has changed, it has remained true to its mission. Today, 100% of its units are still low-income rooms subsidized by the U.S. Department of Housing and Urban Development. All residents are age 62 and up, and the majority of them stay for years. 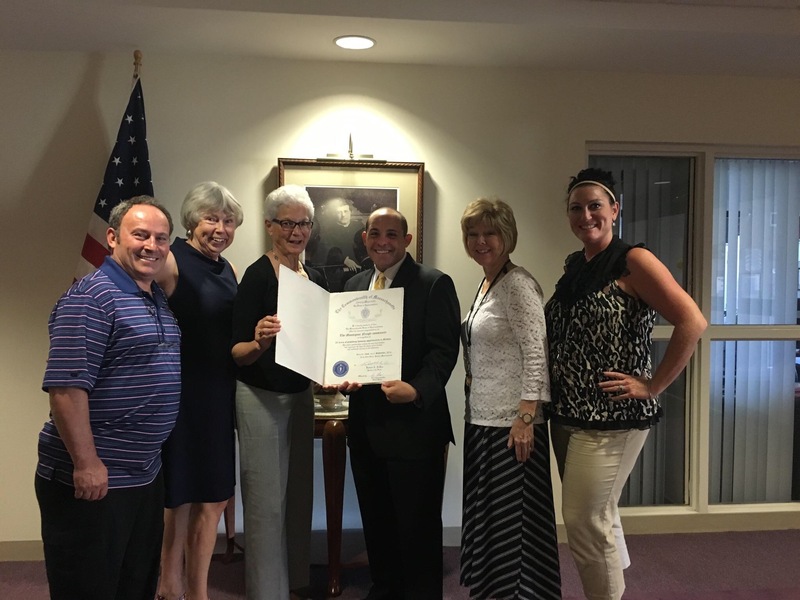 To recognize the building’s success, Representative Steve Ultrino (D – Malden) presented a citation from the House of Representatives to the Monsignor Neagle community in recognition of their twentieth anniversary. Representative Ultrino, who has been on the board of Monsignor Neagle Apartments since 2005, said he talks about the community’s success when discussing housing matters on Beacon Hill. Property Manager Janet Schifano, who has worked at Monsignor Neagle Apartments for fifteen years, said it was a team effort that has kept the housing complex going strong. “This is the result of a group effort of the management staff and the residents all working together to make this wonderful community happen,” she said.